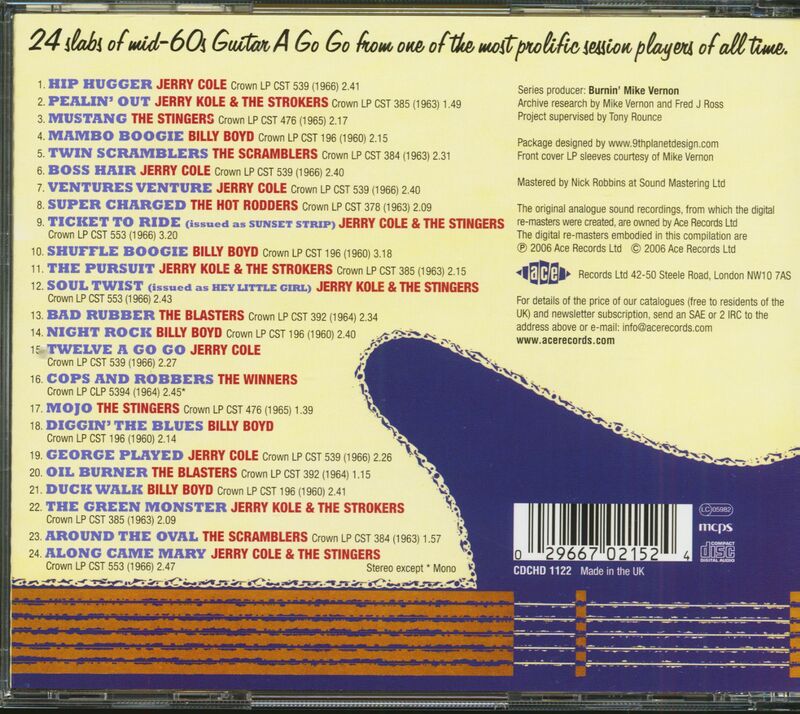 (ACE Records) 24 Tracks - Crown 1960-66, with 12 page booklet. Think of any record at all that was made in Los Angeles in the 1960s and there's a fair to definite chance that Jerry Cole played on it (the 'Pet Sounds' album being just one of a list of landmark recordings in which Cole participated). When he wasn't in the studio cutting other people's records, or touring as part of the hit instrumental group the Champs, he was busy knocking out groovy instrumental albums, under a plethora of aliases, for Modern's budget label (among others). 'Hot Rod Twangin'' offers a sampling from almost a dozen albums that Cole cut pseudonymously for Crown, and shows that there was no style of music that the man could not comfortably embrace - from the Ventures to Booker T & The MGs, he and his session cronies could do the lot. 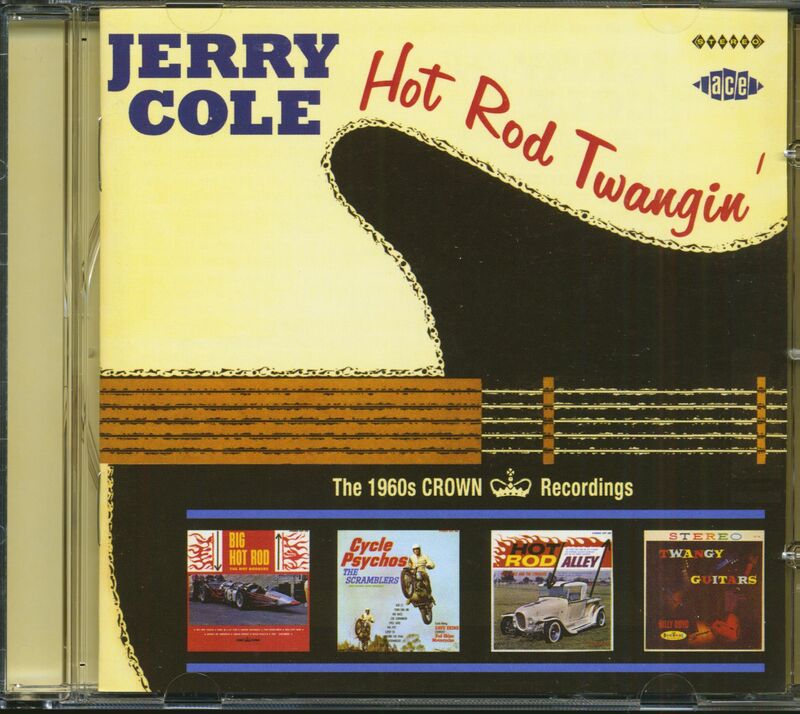 Customer evaluation for "Hot Rod Twangin' - The 1960s Crown Recordings Vol.1 (CD)"